Love Heart customizable clear plastic container for your Valentine! 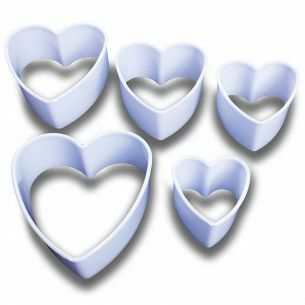 This mini heart shaped fillable plastic container is made from sturdy clear plastic. It has a hanging loop for use a Christmas tree decoration or hanging ornament. 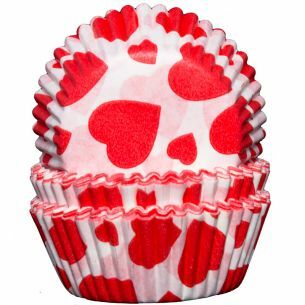 They make great gifts and wedding favours and are completely re-usable and durable. 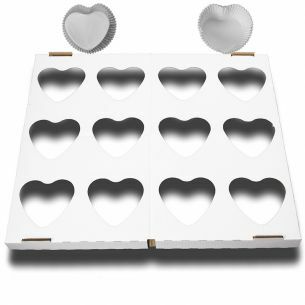 24 heart shaped cupcake cases and one reusable heat resistant baking tray with heart shaped cavities specifically designed for use with the cupcake cases so they hold their shape while baking. These silicone chocolate moulds will make your chocolates look as good as good as they taste. . Suitable for use in ovens, microwaves or freezers. . These chocolate moulds can withstand temperatures as low as -60C and hot as +260C . . Flexible with deep cavity. . Great for making chocolates, butter, gelatin, bite-sized cakes, cookies, and even ice cubes. . The Molds can be washed with hot water or in the dishwasher.